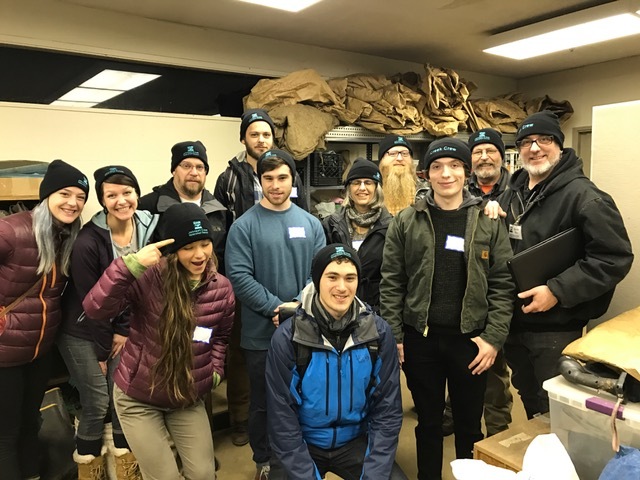 Come train to become a Creek Crew Leader for volunteer groups during 3 or more restoration events during the 2018 planting season. During our one-day training we’ll cover all you need to know to support restoration events in the watershed including managing the registration table, leading safety talks, and hands-on tree planting. We will crown you with a rad JCWC Creek Crew beanie and send you home with a Creek Crew Leader manual! We will serve hot soup, please feel free to bring a potluck dish to share with other incoming crew members! How to prepare: Dress for the weather with sturdy shoes, rain gear, and warm layers. We will be doing a hands-on planting portion of the day! Our Creek Crew Leaders are important at JCWC – a committed group of volunteers, they keep the wheels moving (and shovels digging!) during the height of our restoration planting season. They are also a crucial element of our larger events such as our Watershed Wide Event and the Johnson Creek Clean-Up, enabling JCWC to welcome hundreds of volunteers at a time with the Creek Crew’s guidance and support.